“NASA’s Dawn spacecraft is maneuvering to its lowest-ever orbit for a close-up examination of the inner solar system’s only dwarf planet. 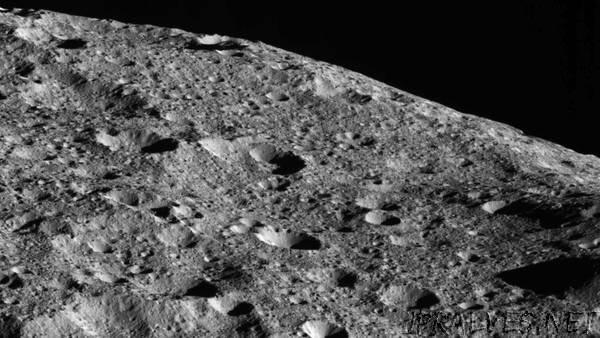 In early June, Dawn will reach its new, final orbit above Ceres. Soon after, it will begin collecting images and other science data from an unprecedented vantage point. This orbit will be less than 30 miles (50 kilometers) above the surface of Ceres — 10 times closer than the spacecraft has ever been. The transfer from Dawn’s previous orbit to its final one is not as simple as making a lane change. Dawn’s operations team worked for months to plot the course for this second extended mission of the veteran spacecraft, which is propelled by an ion engine. Engineers mapped out more than 45,000 possible trajectories before devising a plan that will allow the best science observations. Dawn was launched in 2007 and has been exploring the two largest bodies in the main asteroid belt, Vesta and Ceres, to uncover new insights into our solar system. It entered Ceres’ orbit in March 2015.